When you need medical care quickly, visit our walk-in-clinic. Our clinic is here to serve the community and help those who have immediate medical needs. Instead of going to the emergency room at the hospital where you could have to wait for hours to be seen, visit our clinic for an appointment right away. We understand that it is not practical for patients to know when they will become ill and need medical help. Unfortunately, our medical system is designed so that patients are forced to make appointments in advance. Otherwise, it can be difficult to be seen. Typically this leaves patients with the only option of visiting the ER. This poses a challenge in and of itself since emergency rooms can be incredibly backed up and full of serious problems like gunshot wounds or accident victims who cannot go anywhere else. Those who are simply ill and in need of treatment end up waiting as a result. Our solution is a better one. Visit our clinic to be scene right away. Some patients are concerned that we are in competition with local family doctors and may try to become their primary care physician. While we certainly can serve as a primary care physician this is not our intent. Our goal is simply to provide care when a patient needs it. It is simple. We are here to provide medical treatment in an emergency or on an ongoing basis based on whatever a patient’s needs maybe. 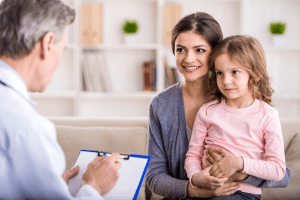 If the family doctor who normally provides treatment is unable to do so due to a scheduling issue, it is okay to visit our office and then see them for follow-up. In fact, we recommend it since a doctor who has been treating a patient for years should be involved when they suffer a major medical problem. We can even send over any records upon a patient’s request. For those who visit our clinic, enjoy the service we provide and want us to provide ongoing care, we can step into the role of being their primary doctor. 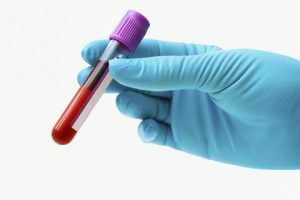 As a walk-in-clinic we can draw blood and conduct the basic diagnostics necessary to determine what problems a patient is facing. Since we offer a variety of diagnostic services in house, it is possible to visit our clinic and not only be treated but also to have things like an x-ray completed to determine if additional follow-up should be had. This is one more reason why visiting the emergency room is typically unnecessary. If there is an occasion where a patient requires services that we do not offer such as unique diagnostic tools or surgery, we can provide immediate treatment using whatever is available to us and then refer a patient to the hospital or a specialist who can handle the rest.